Home News 4/20 Week at National Holistic! 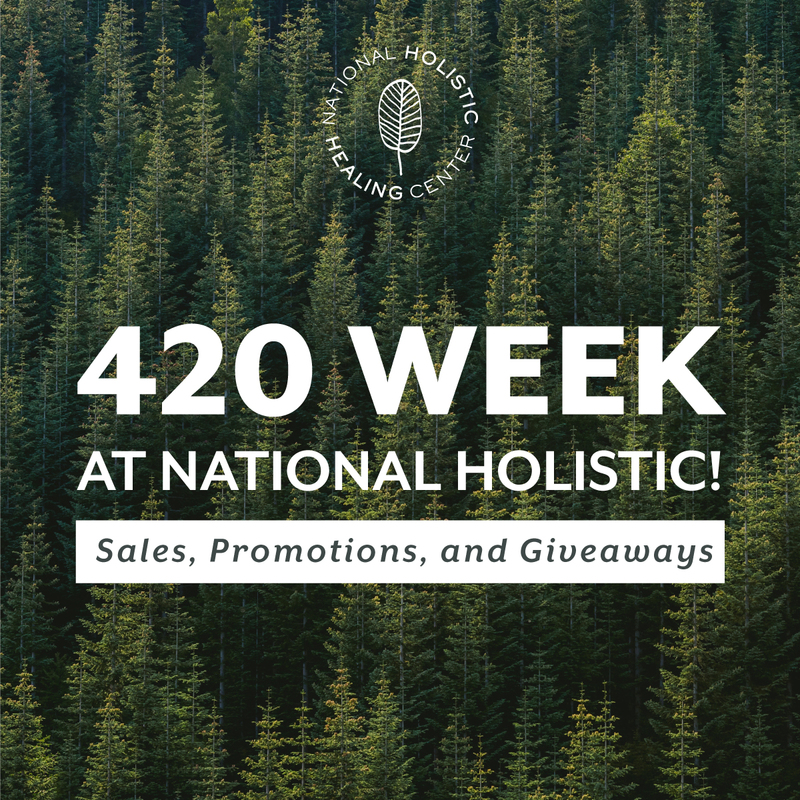 If you’re in DC this week and have your medical marijuana card– or if you have one from MD, PA, or any of the 15 other states that are accepted under the District’s reciprocity program– then you could be celebrating our favorite holiday with National Holistic Healing Center! 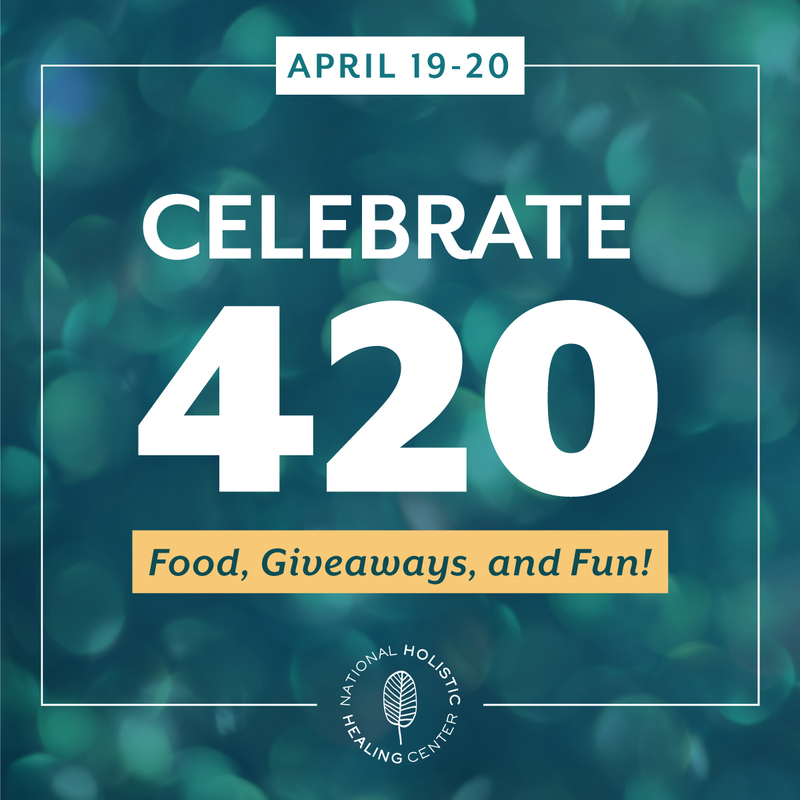 As we count down to 4/20, NHHC has plenty of amazing specials, promotions and events to keep you going until the big day. Check out their list of specials below! Join NHHC this Friday and Saturday for a 420 weekend celebration! Our shelves will be stocked with amazing products and strains, and we’ll have amazing specials on flower, cartridges, pre-rolls and tinctures! We’ll be giving away some National Holistic swag and free snacks to show appreciation for our incredible patients. Hope to see you this weekend to celebrate the best day of the year! 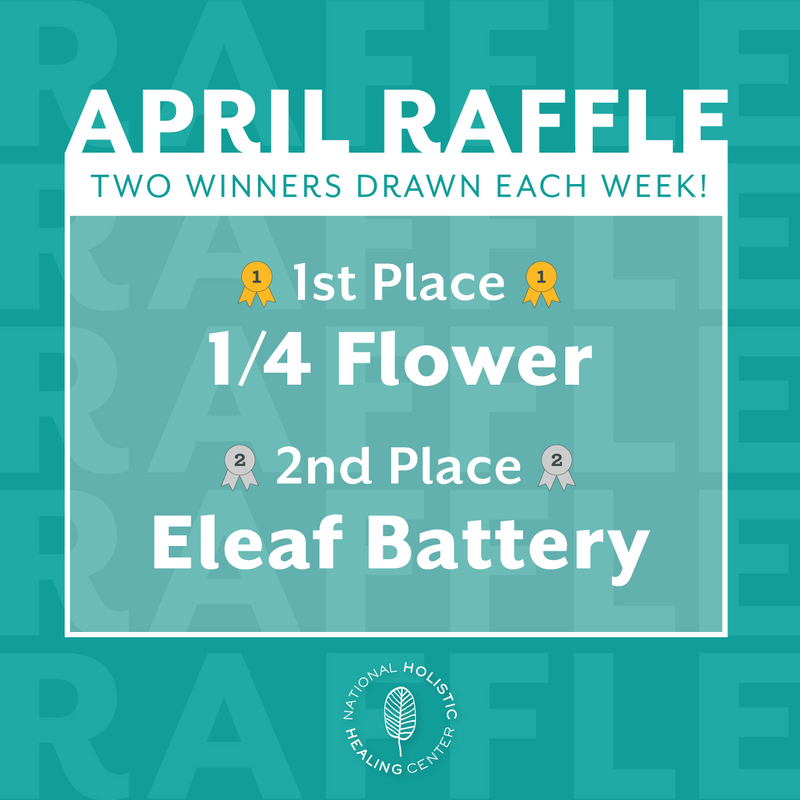 Don’t forget about our weekly raffle! All you have to do is make a purchase at NHHC and sign up on one of our purple tablets at checkout. Only one entry per day and drawings take place every Sunday of April. It could be your lucky week! Great news for early risers! 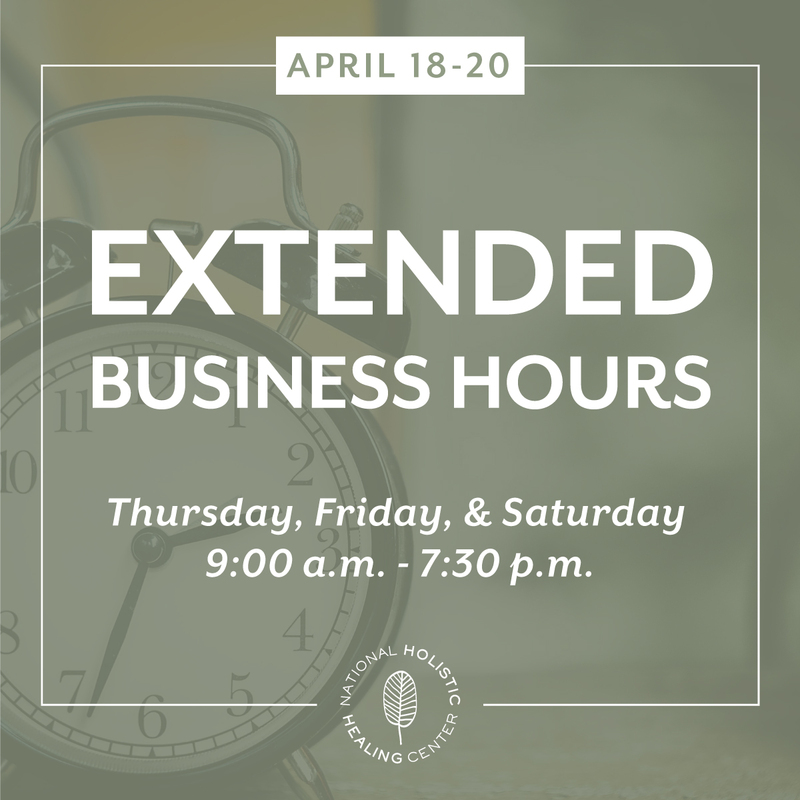 We know this week is special, so we’ve extended our hours for Thursday, Friday and Saturday of this week! Stop in from 9am – 7:30pmon April 18 – 20 to purchase quality medicine from our Dupont Circle dispensary. DC, Dispensary, Edibles, Flowers, Medical, Now Available, Vape Cartridge. Bookmark.